This family-friendly Woodland Hills vacation home is within 3 mi (5 km) of San Fernando Valley, Westfield Promenade Shopping Mall, and Westfield Topanga. Van Nuys Golf Course and Woodley Lakes Golf Course are also within 6 mi (10 km). 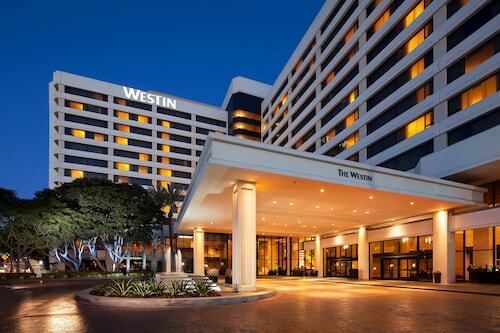 Located in Warner Center, this hotel is within 1 mi (2 km) of San Fernando Valley, Westfield Promenade Shopping Mall, and Westfield Topanga. California State University-Northridge and Van Nuys Golf Course are also within 9 mi (15 km). 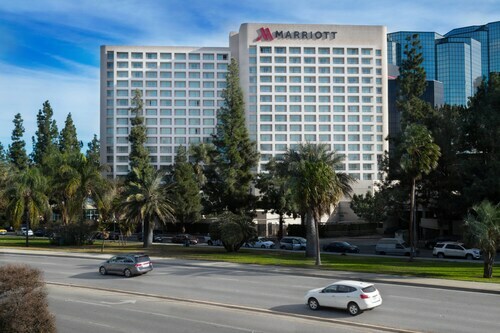 Offering easy access to Highway 101, this Los Angeles hotel is in the Warner Center office complex across from the Promenade Mall; the Getty Center, Malibu, and Universal Studios are within 17 miles. 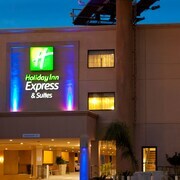 Situated in Woodland Hills, this motel is within 1 mi (2 km) of San Fernando Valley and Westfield Promenade Shopping Mall. Westfield Topanga is 1.9 mi (3 km) away. 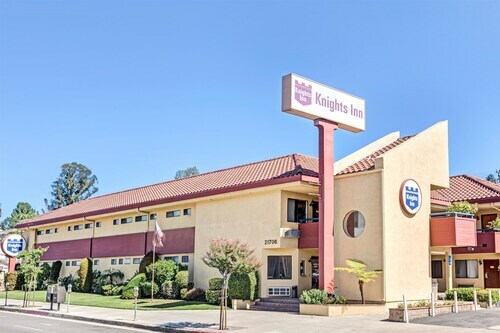 Just off Highway 101, this Woodland Hills motel is 1 mile from the Westfield Topanga Mall, 5 miles from California State University-Northridge, and 13 miles from Universal Studios. 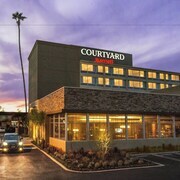 Situated in Woodland Hills, this hotel is 0.1 mi (0.1 km) from San Fernando Valley and 2.8 mi (4.6 km) from Westfield Promenade Shopping Mall. California State University-Northridge and Westfield Topanga are also within 9 mi (15 km). 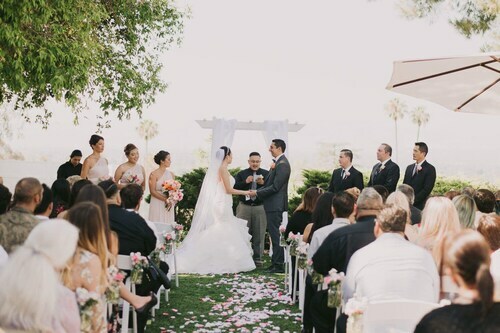 Situated by the ocean, this historic resort is within 3 mi (5 km) of San Fernando Valley, Westfield Promenade Shopping Mall, and Westfield Topanga. Anthony C Beilenson Interagency Visitor Center and Malibu Hindu Temple are also within 9 mi (15 km). 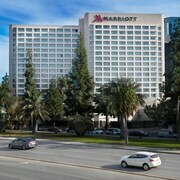 This Los Angeles-area hotel is in the heart of the Warner Center in Woodland Hills, and 11 miles from Universal Studios Hollywood. Are you looking for a break from the hustle and bustle of your day-to-day life? Do you want to escape reality and forget about your never ending to-do list? 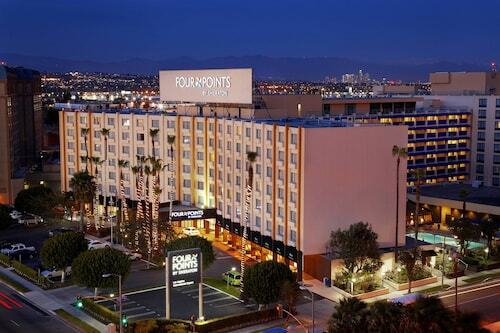 Then why not treat yourself to a relaxing stay at one of the spa hotels in Woodland Hills? Whether it is for a weekend getaway or a staycation, book your visit to one of the Woodland Hills luxury spa hotels. 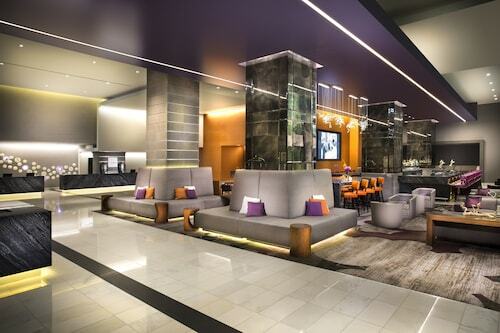 With all of the amazing things to do around Woodland Hills, you will likely be worn out from sightseeing. 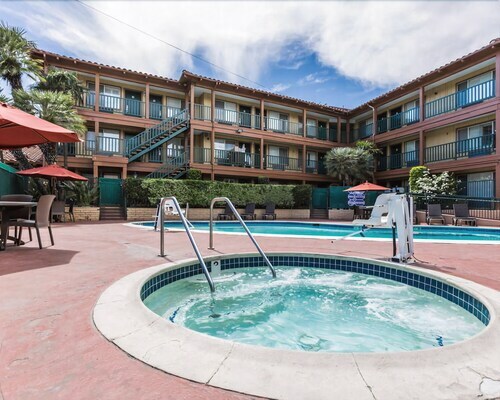 The Woodland Hills spa hotels provide top of the line facilities with hot-tubs, saunas and private treatment rooms. Treat yourself to an indulgent hot stone massage or facial to rejuvenate from a busy day. If that's not enough for you, indulge in a full day-at-the-spa package. And maybe you are just looking to reach maximum relaxation before a fancy night out on the town. Take advantage of the salon features offered at most Woodland Hills spa hotels and get a mani-pedi before your evening begins. Travelocity wants to help you relax and rejuvenate during your next stay in Woodland Hills, but we know that spa treatments can put some strain on your wallet. Bundle your hotel and flight together and save enough to pay for your facial! close to the airport and room was so clean and organized. Amenities looked great to use. I wish we had more time to spend here. Staff from front desk to valet very helpful and friendly. 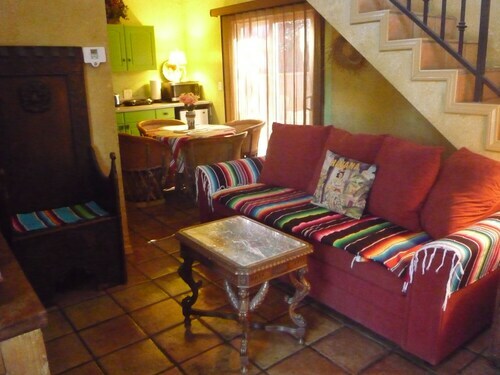 Rooms were comfortable in size, bed and furnishings. 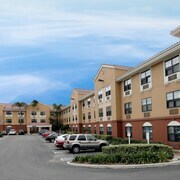 Very close to airport and car rentals. Everyhing was great. Even having only one functional elevator hasn't been a problem. We got in late around 1AM. It would have been nice to have more food choices for my hungry kids. However, woman at the front desk was extremely helpful and found us a snack. The property has a perfect location! Restaurants shoppping and site seeing all within walking distance! We really had fun just walking around exploring. Room with the Hollywood sign and city view was awesome. Only downfall was the request for $100 a night charged on your credit card even though your reservation is paid in full. The desk said is was a normal request and mandatory charge that would be credited back after 7 days. That was the only set back for us and they were very accommodating. I’d stay here again it was perfect for a quick getaway with my 14 year old daughter. Fully Equipped Luxury Woodland Hills Apartment!